Brussels, 18 January 2016 – The Unrepresented Nations and Peoples Organization (UNPO), its Members and Presidency warmly congratulate Ms Tsai Ing-wen and her Democratic Progressive Party (DPP) on their victory in Taiwan’s presidential election on 16 January 2016. This victory represents a landmark in the country’s history not only for seeing its first female president elected, but also for DPP’s resounding victory in the legislature. 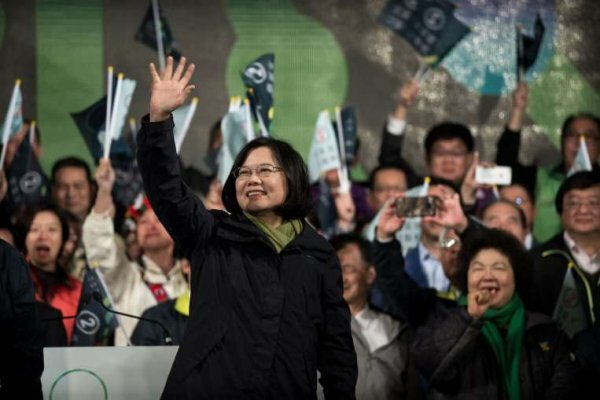 For the first time in three decades the party obtained the majority of the seats and will now be the leading political force to ensure that the voice of Taiwan’s 23 million people is heard. The 25-year history of UNPO is intertwined with that of Taiwan. As a founding member of the organization, Taipei has been playing a pivotal role in supporting the struggle of unrepresented nations and peoples around the world. Furthermore, Taiwan’s remarkable efforts in promoting inclusivity and ensuring political representation of its indigenous peoples is an example that resonates beyond its vicinities. On this note, UNPO reaffirms its support for Taiwan - a country whose ambition is not only to protect its sovereignty and to obtain international recognition, but also to contribute to regional democratization - and looks forward to a close collaboration with its newly elected government led by Ms Tsai Ing-wen and the DPP.